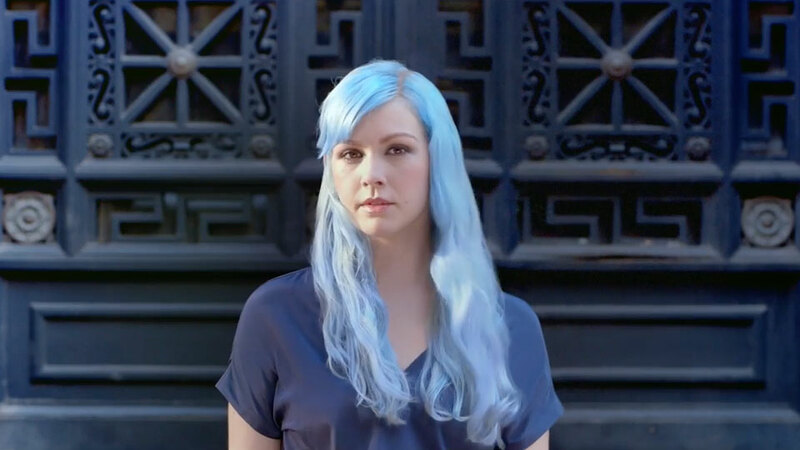 Women buck hair conventions in Dove's latest campaign, from Havas Helia, which tells women they should wear their hair however they like—despite societal pressures to fit into narrow standards of what we believe to be beautiful hair. Using the insight that eight out of 10 women feel pressured to wear their hair a certain way, Dove interviews a variety of women about their hair. With that in mind, it's not surprising each of them share experiences where they've been chastised or made to feel uncomfortable about their choices. "A friend once told me if I put color back on my hair, it would make me look better," says Leecie, a woman with grey hair. Another woman, Aster, shares that she's been criticized for straightening her hair, "as if straightening it means I don't embrace who I am." "Our research indicated that the vast majority of women don't actually love their hair, and most feel tremendous pressure to conform to societal beauty norms. This was heartbreaking to us," Rob Candelino, vp of marketing and general manager of hair care at Unilever, said in a statement. "The Dove #LoveYourHair initiative is designed to celebrate all the wonderful, real-life stories of women who choose to quiet these outside pressures and wear their hair the way they themselves feel most beautiful and confident." That said, the film's ambitions are grander than its results. It's almost too short for how quickly it shifts tones. The women share their disappointing stories for the first 20 or so seconds before "Express Yourself" blasts in and they're shown celebrating their "unconventional" hair choices.